LG is gearing up to release the G5 this upcoming April. This will be the 5th successor in LG’s G series, after the highly praised LG G4. This G5 will be available in silver, titan, gold, and pink. It will be released running Marshmallow OS as well. It includes 32GB of internal memory and can be externally expanded up to 200GB. 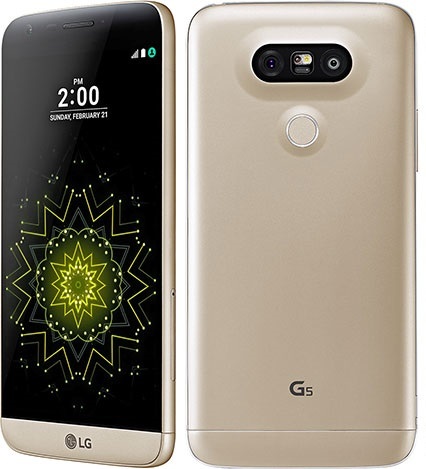 The LG G5 will have a 5.3″ IPS LCD touch screen with Corning Gorilla Glass and LG Optimus UX 5.0 UI. It also supports ‘Always-On’ display – which we will be seeing with a lot of upcoming Android device releases. The G5 has a 16MP camera, 2160p video recorder, and a 8MP front-facing camera with a 1080p video recorder. With this device, you can use laser auto-focus, LED flash, tag your location, and much more! This will be the fastest LG device to-date, with its quad-core processor and 4GB RAM. Perfect for work, school, and leisure. And you can experience a vivid gaming experience with its Adreno 530. This phone supports Quick Charge 3.0 and FM Radio as well. Once unlocked, it can be used with compatible network providers around the globe! Unlocking your LG G5 is fast, simple and 100% guaranteed by Cellunlocker.net. Why Unlock your LG G5 with Cellunlocker.net? Please Note: If your LG G5 is locked to T-Mobile or Metro PCS, you will require a different method to unlock the phone. Unlock Your LG G5 Today!